Discussion in 'Forum Games' started by WAdude, Aug 18, 2010. Just go on youtube and post a funny video that we can all laugh at. Just think about positive imagery. 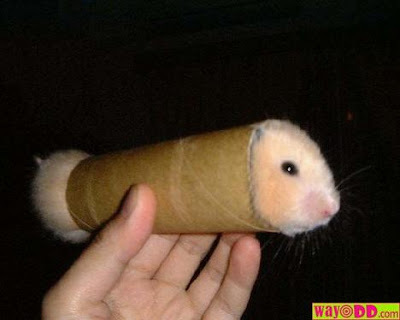 YouTube - Eyewitness News - Hamster's Mug Shot??? The funniest thing you'll see in your life. Ever. It's a truly awful cover of Sweet Child of Mine. Oh my god, the assumption song and the random t shirt video was funny as hell. The kids playing rock was just to hilarious though, they truly su...I mean, rock ofcourse. YouTube - Unboxing the burgerking whopper! Check out 30 second bunny theater. Too bad - it looks like no more new ones. Angry Alien Productions: 30-Second Bunnies Theatre and other cartoons. YouTube - Funny Baby Joey Finds a Friend in the Mirror? Pop Korn and Vaseline Smith like this. YouTube - Dear John Witherspoon: "Steroids"